Raptors moving south from their eastern Canadian breeding grounds are blocked by Georgian Bay and the north shore of Lakes Erie and Ontario. Thermals do not form over water, so the birds are forced in one of two directions: east around Lake Ontario or west around Lake Erie. Those that move west follow the north shore of Lake Erie until they reach the mouth of the Detroit River. Turning back is not an option, so they are forced to cross the 4-mile span to southeast Michigan, specifically at Lake Erie Metropark (LEMP) and Pointe Mouillee State Game Area (PMSGA). They lose altitude as they cross the water, making it easier for them to be observed. Many species of raptors utilize thermals to varying degrees during migration. Thermals are columns of rising air caused by heating of the earth by the sun. 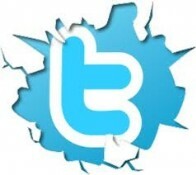 A bird will soar and gain altitude in a thermal, set its wings, and glide to the next thermal using little energy. 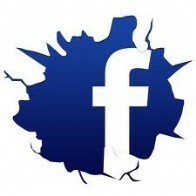 Additional information regarding thermals can be found on our Links page. These factors combine to provide ideal weather for hawk migration. Once the cold front passes, it may be minutes, hours, or days, before large flights can be seen. A diverse selection of weather data should be used in making forecasts or attempting to understand general patterns. Additional information regarding weather can be found on our Links page. Please view the poster on raptor migration at the mouth of the Detroit River. Beginning early September the first Osprey and Sharp-shinned Hawks begin to make their way across the count site. For those most interested in viewing sheer numbers, September is the best month to visit. 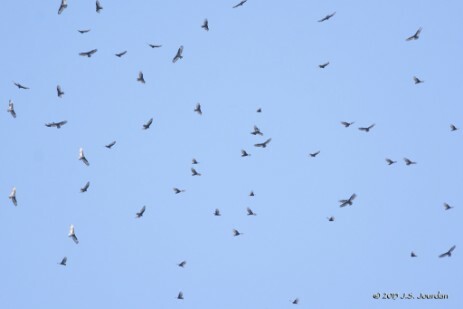 Broad-winged Hawks pass through by the tens of thousands. The second and third week are the most productive, with the peak centering near September 19th. This is also the best time to Swainson's Hawks, as well. Osprey and Bald Eagles are seen almost daily (whether or not they are counted varies (see Protocol). 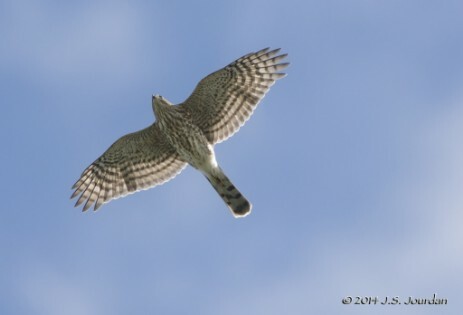 The majority of migrant Sharp-shinned Hawks and American Kestrels are also seen in September. 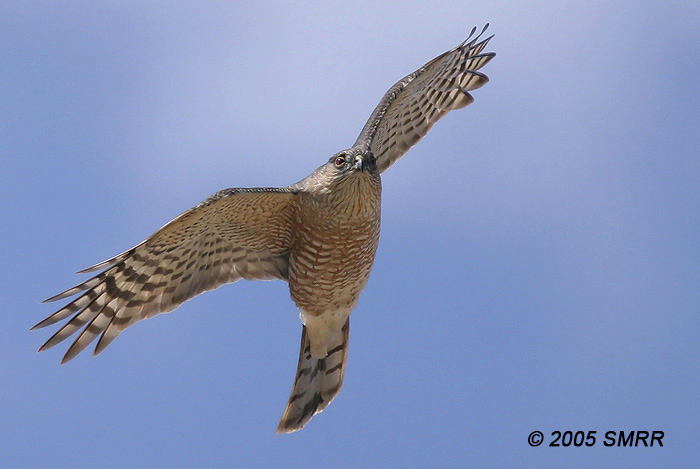 Sharp-shinned Hawks (Accipiter striatus) are one of the most commonly seen species in September when the majority of the species migrate through the area. Adult (left) and juvenile (right) are recognizable by their T-shaped, erratic wing-flap, and 'notched' shoulders. The pace shifts in October. Huge numbers are unlikely, but species variety increases. The first Red-shouldered Hawks appear, Red-tailed Hawks peak toward the end of the month, and Cooper's Hawks and Turkey Vultures reach their peak. Peregrine Falcons peak the first week, while Turkey Vultures are highest the second week (thousands in one day). On four different occasions in October, all 16 regularly occurring species have been recorded. 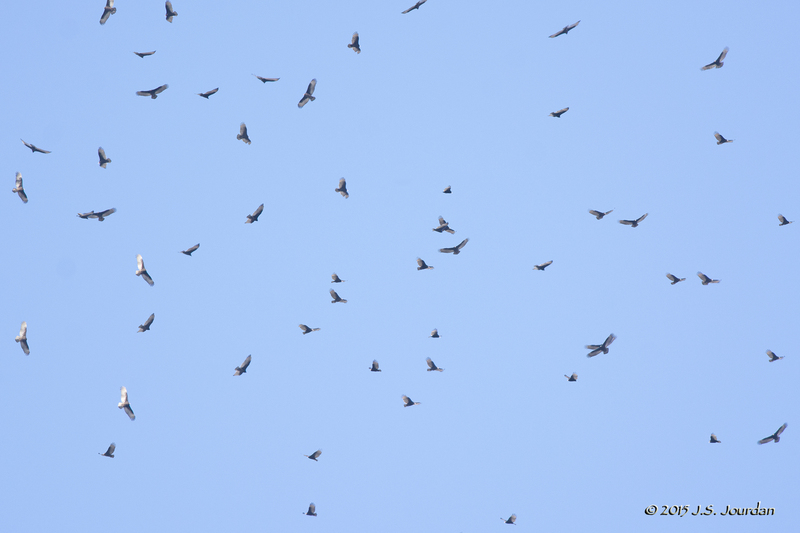 A "kettle" of Turkey Vultures (Cathartes aura) on an October day gathering in a thermal. 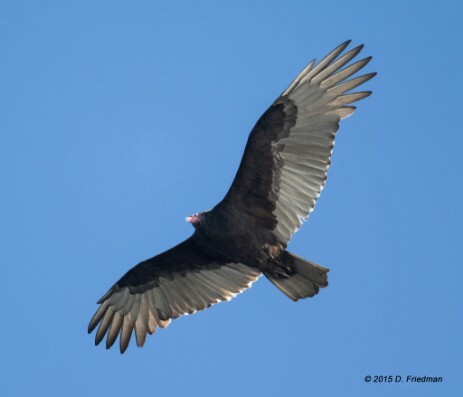 Thousands of these birds can pass overhead on a daily basis during the month of October. By November, the species diversity is low. However, the appearance of Golden Eagles, Northern Goshawks and Rough-legged Hawks make the chilly days worthwhile. It is a quieter time at the count, but dramatic with migrants from Arctic Canada. 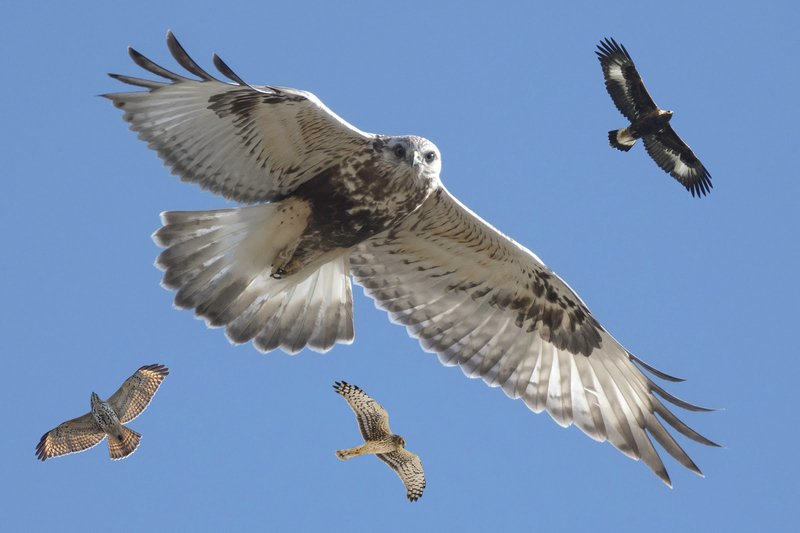 Rough-legged Hawks, Golden Eagles, Northern Harriers and Red-shouldered Hawks are highlights of the November count. Composite image courtesy of Jerry Jourdan.